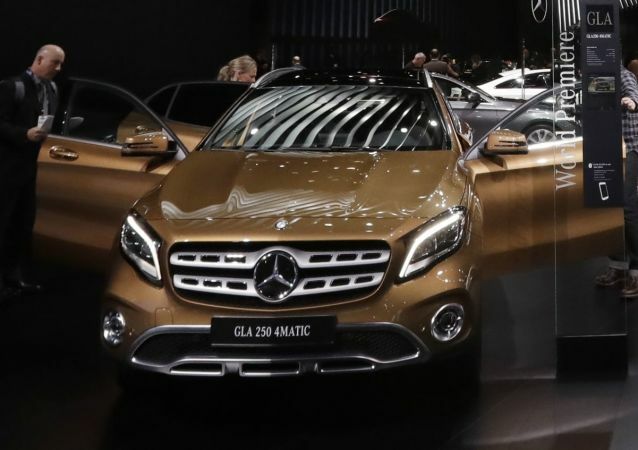 President Trump's threat to slap a 20% import tariff on all EU-made cars unless the bloc removes tariff and trade barriers on US companies was met with a warning from the European Commission that it would reciprocate. Speaking to Sputnik, European trade policy analyst Allie Renison explained the inherent danger to the escalating US-EU trade spat. The creation of a joint European military force is again on the agenda after talks between French President Emmanuel Macron and German Chancellor Angela Merkel. While France's top army official has stated that much progress has been carried out on the matter, French professor Christophe Réveillard told Sputnik that it plagiarizes the NATO system. Britain's top diplomatic and military officials went to Warsaw last week to discuss ways to enhance the "strategic foreign, defense and security partnership" between the two nations in light of so-called "Russian aggression." However, Russian observers point out that the "partnership" is directed as much against Berlin as it is against Moscow. German Chancellor Angela Merkel has declared that the expulsion of ethnic Germans from the countries of Central and Eastern Europe after the Second World War had no "moral or political justification." Speaking to Sputnik, Czech Peace Forum chairwoman Vladimira Vitova explained what was so dangerous about Merkel's comment. Addressing the possible repercussions of Washington's refusal to supply its F-35 fighter jets to Turkey, Beyazit Karatas, vice-chairman of the left-wing Turkish party Vatan, told Sputnik that Ankara should deal with the issue from the standpoint of its strategic interests. A leading British academic said that it is likely that the events at the Gosport War Memorial Hospital, which led to at least 456 deaths, are being repeated in other hospitals. Sputnik discussed the inquiry into the Gosport War Memorial Hospital deaths with Stephanie Prior, Head of Medical Negligence at the law firm Osbornes, UK. Imran Khan, former cricketer and socialite who has never shied from controversy, is one of the frontrunners to become the leader of Pakistan ahead of next week's general election. In a 5-4 vote Friday, the US Supreme Court ruled that police need a warrant to search for cell phone location data belonging to US citizens. Forces loyal to Libyan General Khalifa Haftar have announced that they’ve retaken the country’s northeastern oil ports from the control of a renegade armed group. Oil production – the war-torn country’s most vital economic lifeline – dropped this week from around one million barrels per day to 450,000 this week as a result of fighting.